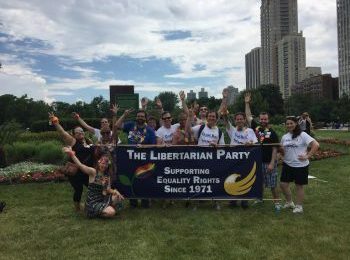 The Libertarian Party of Chicago is comprised of common people united towards a universal goal: to uphold our freedom and independence. 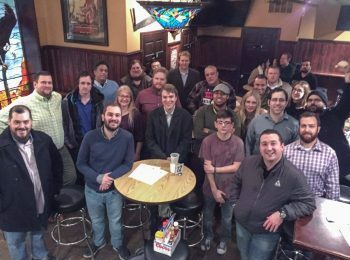 We meet once a month in a casual setting to primarily discuss issues affecting the citizens of the Chicago, plan events and organize party candidates for upcoming elections. Only a minority of LPC members have been self-proclaimed Libertarians for their entire lives. Practically all are recovering Republicans or Democrats who have come to grips with their addiction to empty promises fed to them by the two dominant parties. The majority of LPC members realize that they were always Libertarians at heart, but didn’t discover the Libertarian option until their later years. There is a wealth of well-written and detailed information about Libertarians and libertarianism on the web already, so rather than attempt to recreate it here, we hope that you will follow one or more of the links below: The ‘parent’ organizations for the LP of Chicago are the Libertarian Party of Illinois and the Libertarian National Committee. Here you will find the LP platform, news, events and dozens of links. You can also find a link back to this site or to the LP affiliate closest to you if you’re not in Chicago. To learn more about the political philosophy of libertarianism, see our national website at www.lp.org. Please contact us and join the fight to restore peace, prosperity, and freedom — the promise of the United States of America.